Golden Gear is a Canadian game development studio made up of Andrew Traviss, Alex Bethke and Rosemary Brennan. Golden Gear was founded in 2010 by Alex and Andrew after they left Cryptologic Inc. where they were previously making card, table and slot casino games together. Golden Gear has worked with organizations and companies such as TIFF Nexus, Lionsgate Films, Fremantle Media, Kill Shakespeare, Social Game Universe, Bento Miso, Dames Making Games, TO Jam, Metanet Software and the Toronto After Dark Film Festival on a wide variety of projects. 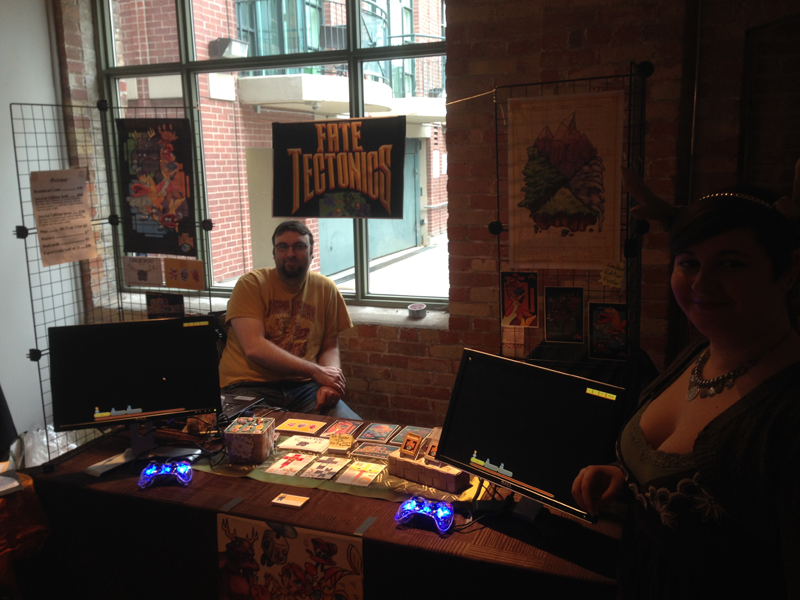 In October 2013 Rosemary Brennan joined the team as lead artist to assist with Fate Tectonics. Golden Gear splits their time between working on their own projects, providing development and design services to other studios and volunteering time in the local game development community. After assisting with the development of Pop Sandbox's Pipe Trouble and clearing the related controversy that project saw, Golden Gear has been focused on developing their own game Fate Tectonics and a new digital comic initiative. The first digital comics project they built was with the Dames Making Games organization and launched December 2013 for iOS as the DMG Swipe Comics Anthology. They are also working with local developer Christine Love to bring Analogue: A Hate Story to iOS. There are currently no trailers available for Golden Gear, Inc.. Check back later for more or contact us for specific requests! There are far more images available for Golden Gear, Inc., but these are the ones we felt would be most useful to you. If you have specific requests, please do contact us! 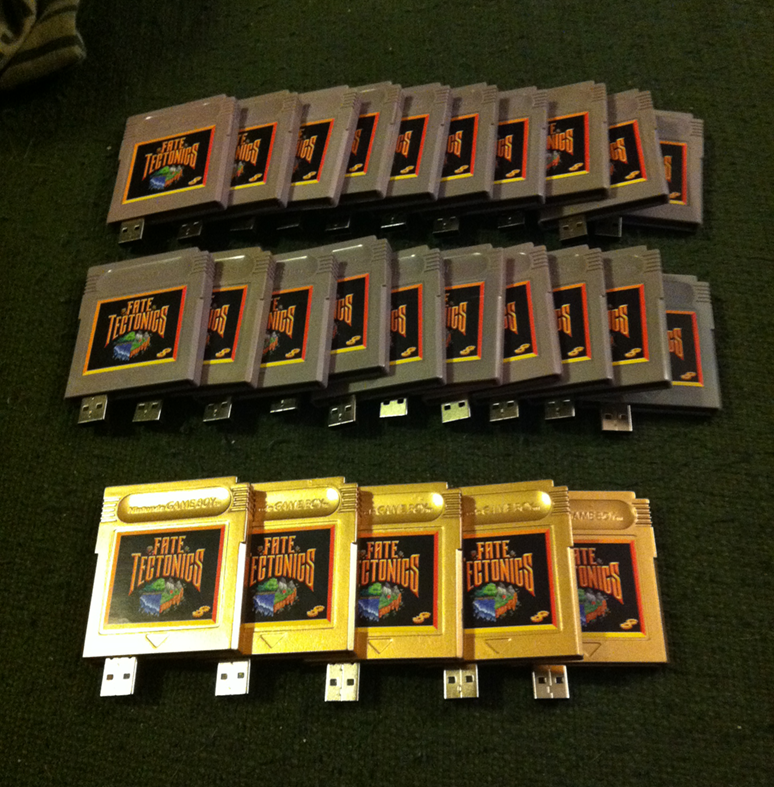 "Golden Gear took things a little further, selling a deluxe version of their new game Fate Tectonics on a USB drive, modded into an old Game Boy cartridge, in vintage grey and gold variety." "It was in a 30 day stretch of consecutive 14 hour work days when Golden Gear Inc. was born." "As simple as a videogame can be, and that is exactly why you’ll be playing it for hours." Personal twitter for Andrew Traviss (@andrewtraviss) available at twitter.com. Personal twitter for Alex Bethke (@mrAlexBethke) available at twitter.com. Personal twitter for Rosemary Brennan (@NextEstrogen) available at twitter.com.